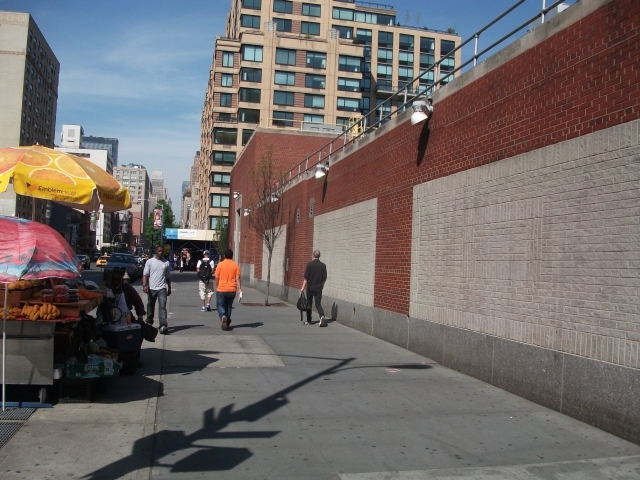 At 18th-19th Streets and 7th Ave a Con Ed Substation has a full block length avenue block brick wall with no functional elements. It is a "dead street" walking past it adds nothing to the pedestrian experience. 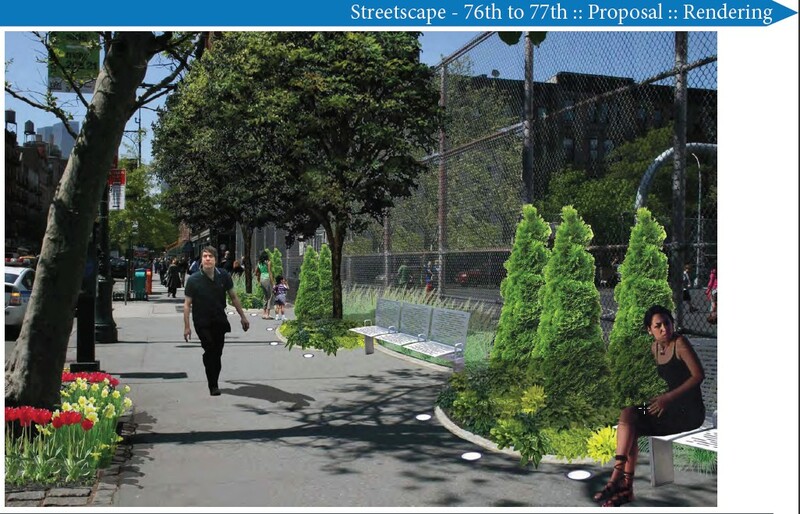 Add benches and it becomes a seating plaza(see West 77th Street below) ., add fencing and we can have a East Chelsea dog run. For a relatively low price a garden with seating can be added to make it a micropark. This Teich Gardens has a fenced garden area with benches outside the fencing. This design gives East Chelsea a enclosed community space to be used as a a micropark/community garden while giving passerbys a place to sit. Want to see a Teich garden? 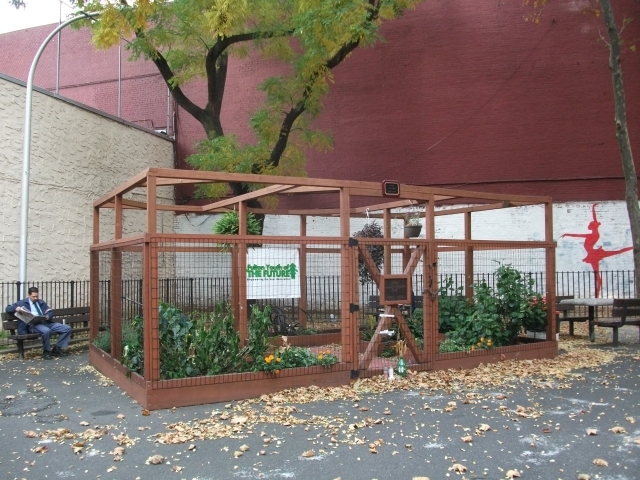 As it turns out Chelsea already has its first Teich Garden at the Fulton Houses between 9th and 10th Avenues (probably 17th Street). You'll find quite a few sidewalk cafes in south Chelsea. These spaces have claimed public sidewalk as private Parks/cafes. . ParkChelsea seeks to claim some of our public sidewalks as Public Parks. This is a Privately owned public space at 1250 Broadway that was created without any public seating. The bench on the right was one of 2 added by the 34th St Partnership and turned a useless plaza into a place where people could actually sit and enjoy the plaza. The Con Ed space has even more potential then this. This is a west 77th and Columbus Ave a similar" dead street"
The West 77th street redesign is much more pleasing to the eye then the original street design. However it succeeds in adding only visual stimuli and passive seating, which are easily available at the Museum of Natural History, Theodore Roosevelt Park and Central Park, all of which are within a block from it. 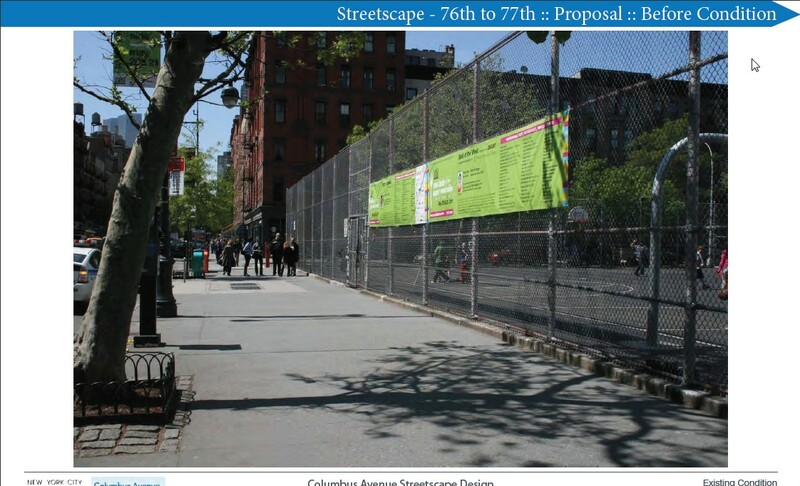 The Con Ed plan adds active neighborhood activities to the street.